In everyday language, to be “decorative” is also to be feminine, flowery, or delicate. 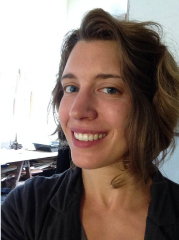 In her work across various media, Elizabeth Alexander probes that traditional understanding of decoration by adding or subtracting it from existing objects, producing familiar-yet-alien forms that defy expectation. 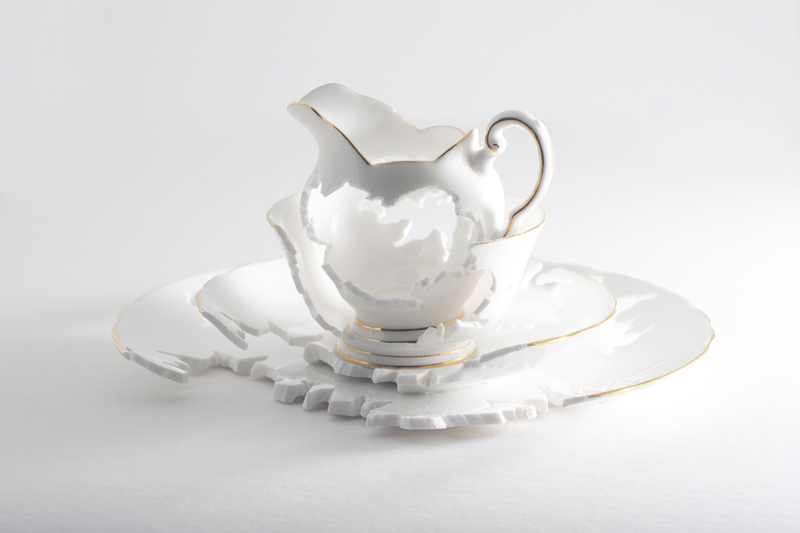 In her sculptural series Tea, for example, the artist begins with everyday found porcelain pieces—teacups, saucers, and pitchers—that feature surface decorations such as painted flowers or leaves. 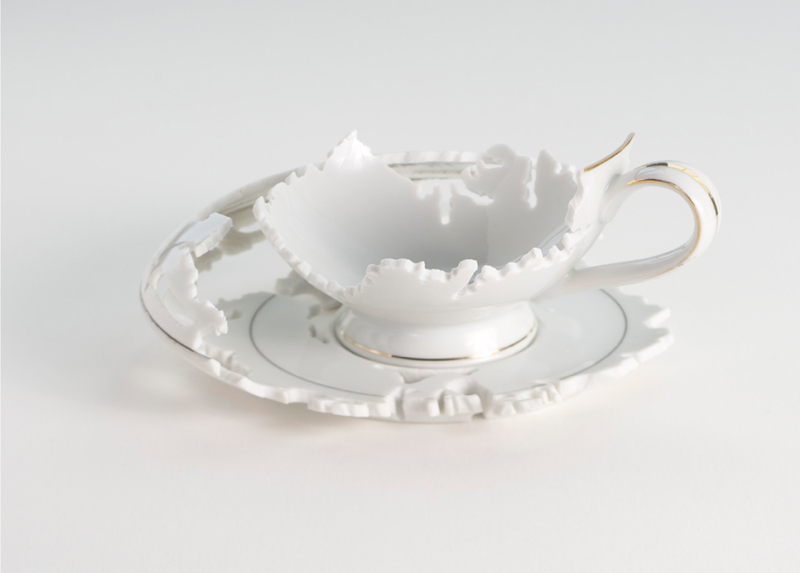 Then, using a refined cutting tool, Alexander methodically removes the decorative elements along with the porcelain underneath, creating wavy, irregular holes in the surface of the objects. The undulating edges of these empty spaces resemble islands, lakes, or rivers, creating beauty even in their absence. 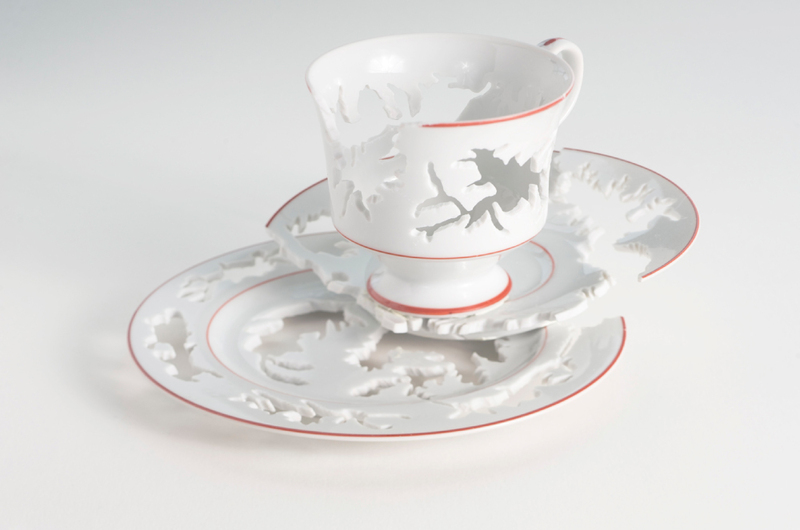 Importantly, the removal of decoration destroys the functionality of the original objects: the cup can no longer contain tea, the saucer no longer catches stray crumbs. Alexander’s altered forms compel us to reconsider our notions of beauty in our home environments, suggesting that “mere” decoration perhaps isn’t so mere after all. An overarching theme in my work is deteriorating domestic space—space that’s caught between this hopeful environment and this dissolving environment, so you don’t know if it’s unsettling or exciting.